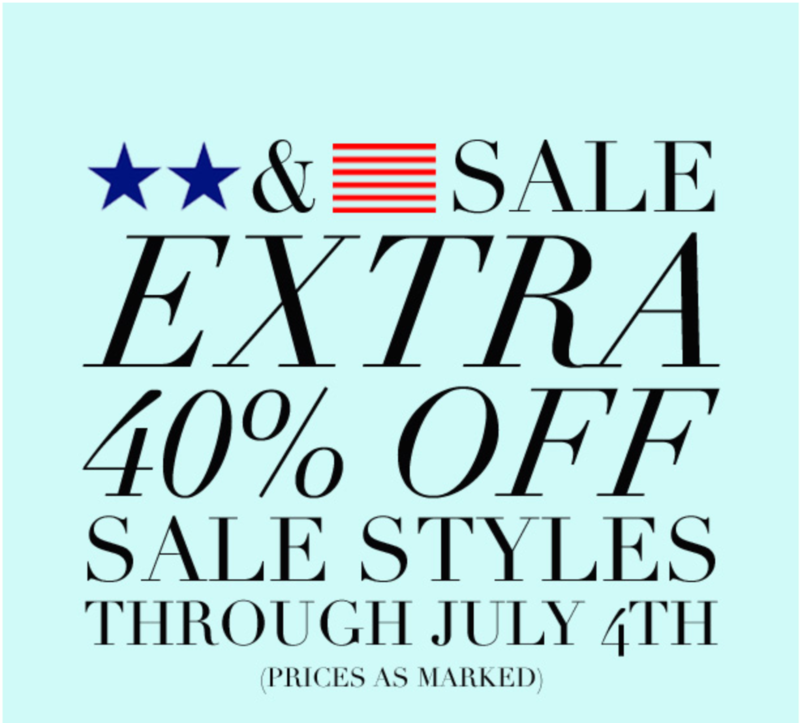 Booming Bathing Suits at Everything But Water! 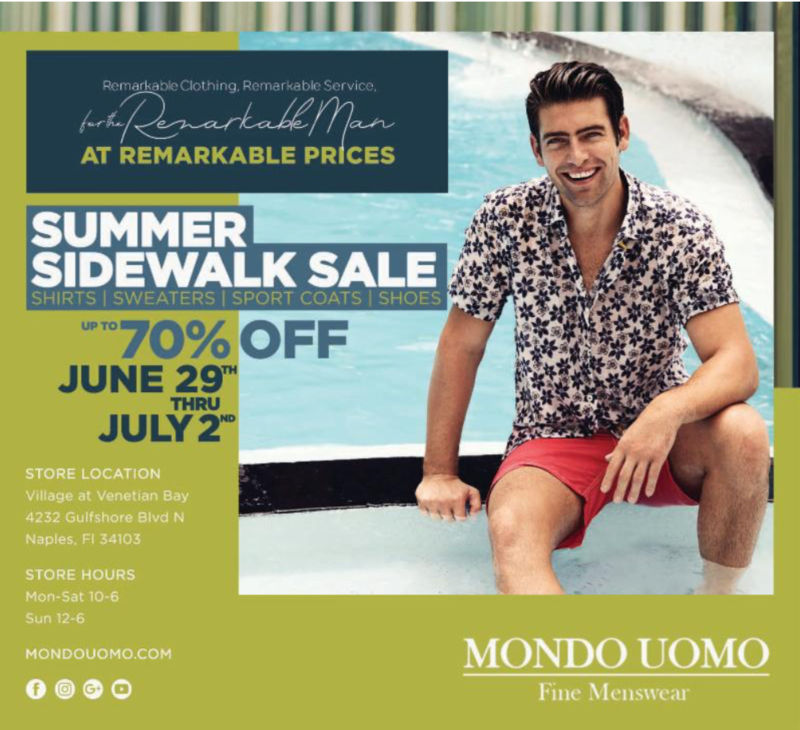 Sidewalk Sale at Mondo Uomo! 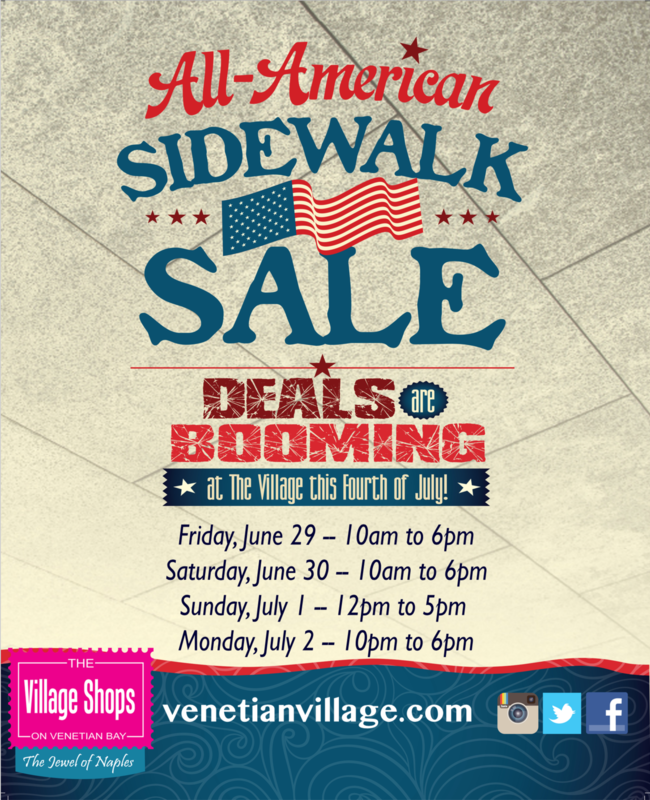 All-American Sidewalk Sale at The Village Shops! 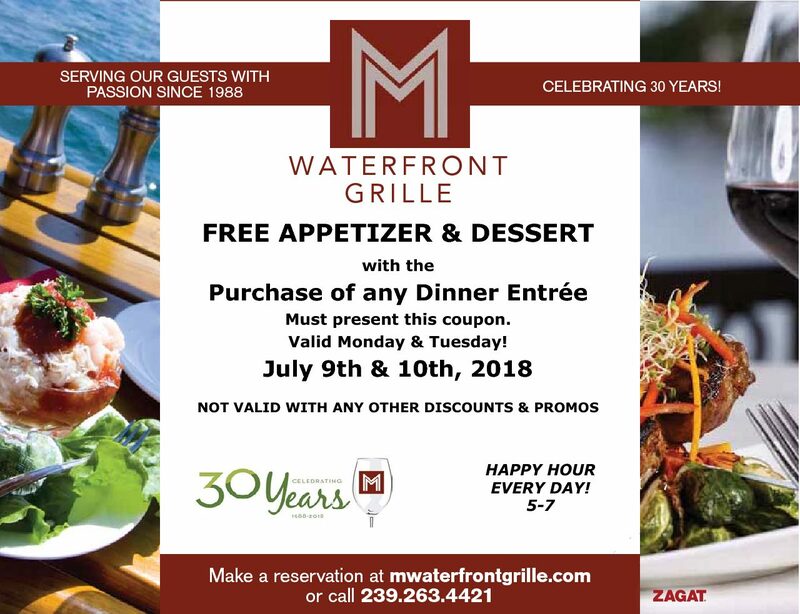 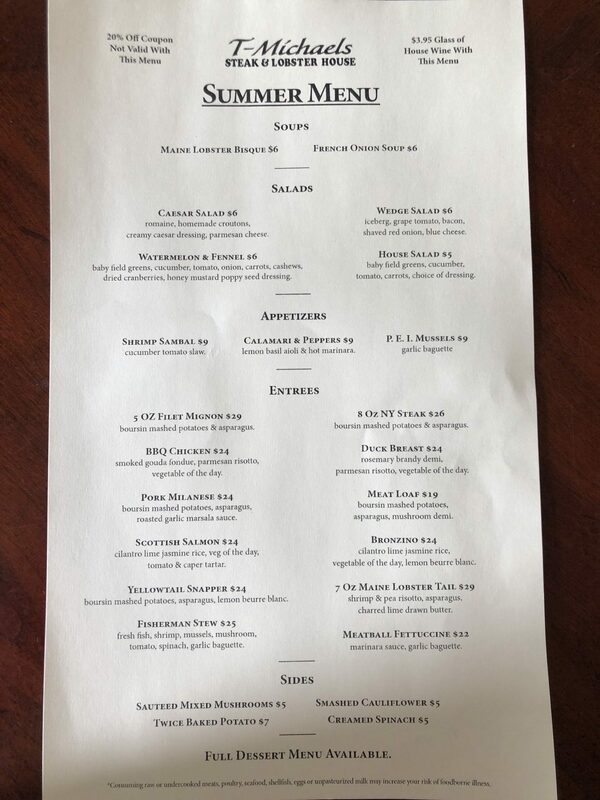 Free Appetizer and Dessert at M Waterfront Grille! 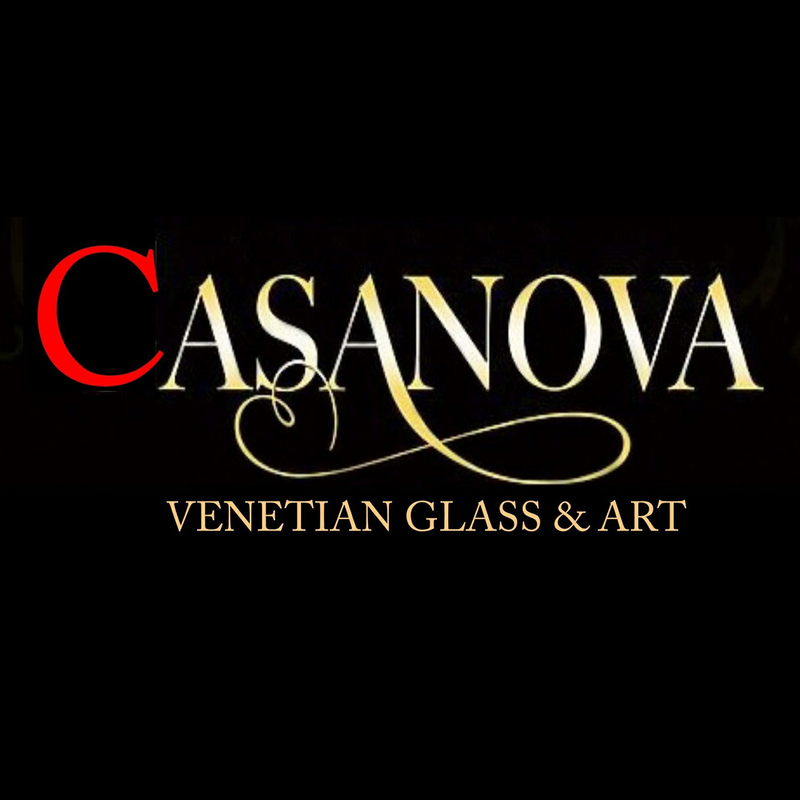 Treasure Trove of Ancient Roman Coins at Casanova Venetian Glass & Art! 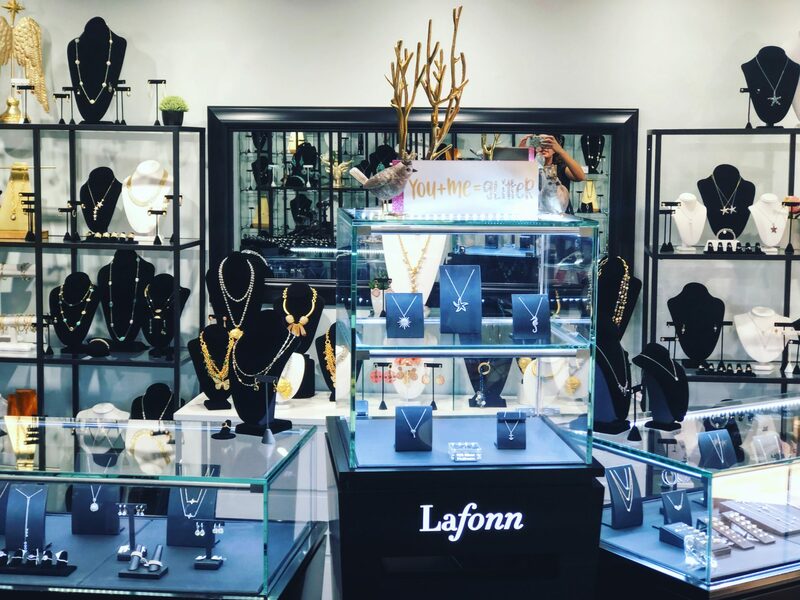 DanaTyler Inspired Travel Jewelry, Designed With You In Mind! 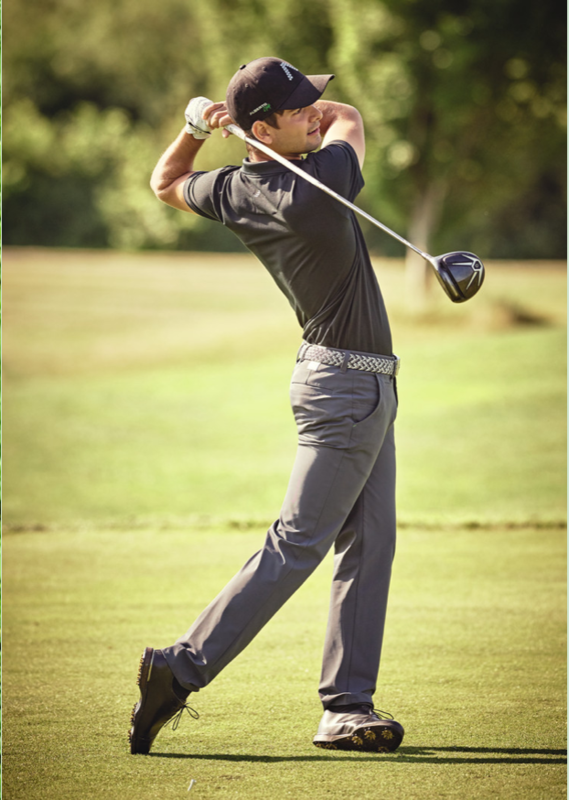 Alberto Golf Pants at Mondo Uomo! 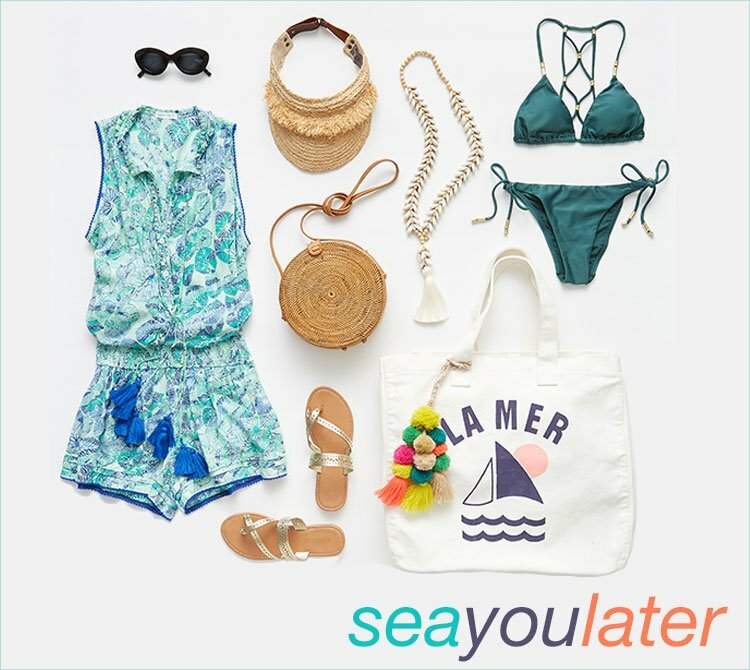 Everything But Water Summer Packing Ideas!